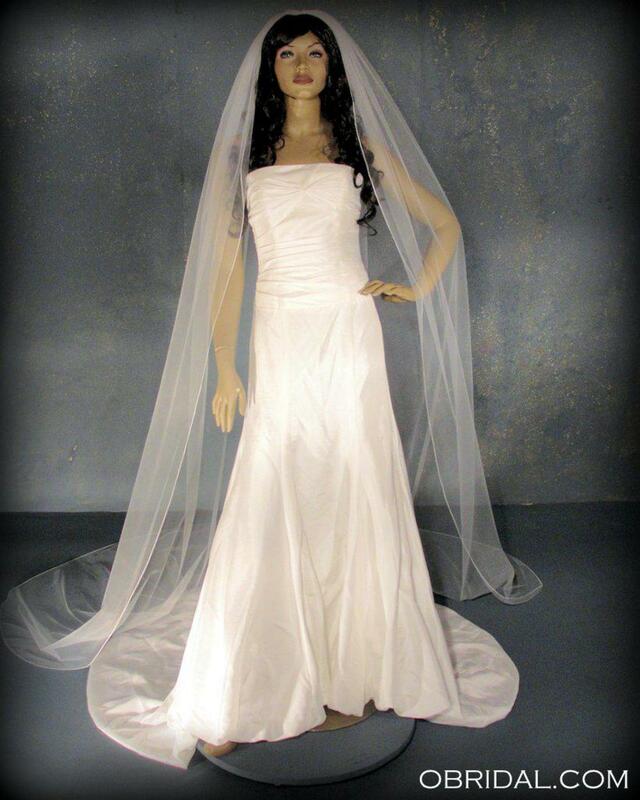 1 Tier Cathedral Wedding veil is a romantic classic. This cathedral veil features our standard cut - which means that the edging falls straight from the comb and has a nice rounded train at the bottom. This cathedral veil is cut from 108" wide material which means that it has plenty of width to spread out beautifully across the floor. Cathedral veils make for a elegant and amazing photos! The veil is pictured with a pencil edging; however, this can be customized to the edge finish that you desire. This classic and beautiful cathedral veil will complete your stunning bridal look!